In 2010, Cleveland’s Central neighborhood was one of Cuyahoga County’s most challenged. The average annual income of residents was less than $10,000, the infant mortality rate was twice the national average and all three of Central’s K-8 schools received failing grades by the state. Residents did not see a pathway out of poverty. 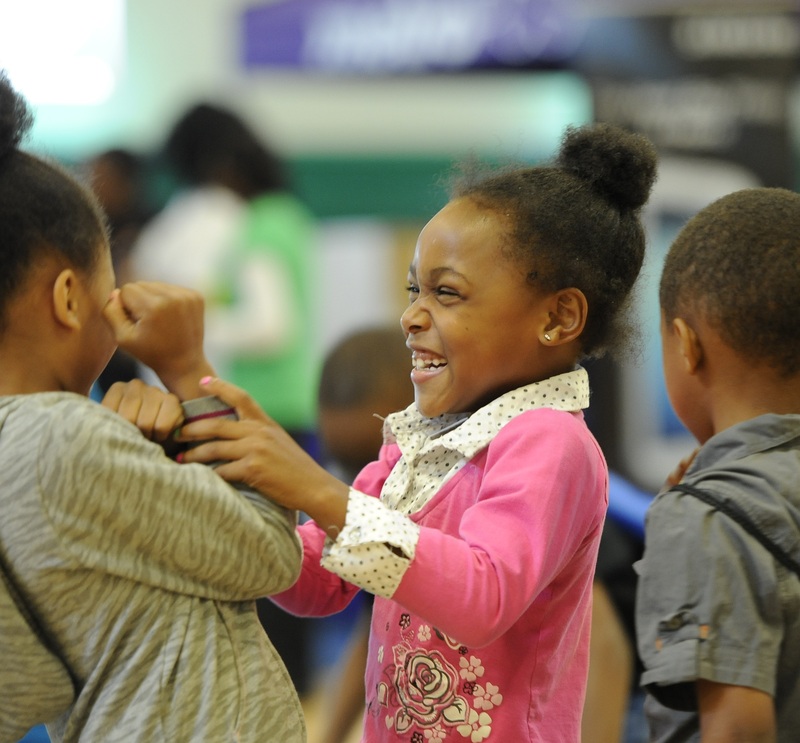 “An intergenerational cycle of poverty had been set up,” explains Lowell Perry Jr., director of Cleveland Central Promise Neighborhood, a community initiative that works to transform the educational and developmental outcomes of Central’s kids. The Sisters of Charity Foundation, the lead convener of the Cleveland Central Promise Neighborhood, knew it would require a major structural and philosophical shift to achieve its goals, with local schools, health systems and nonprofits working together to help as many children as possible get from cradle to career successfully. 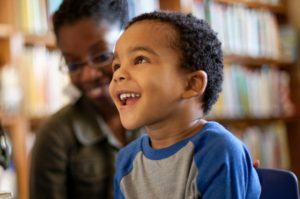 Promise Neighborhoods are inspired by the Harlem Children’s Zone, an innovative New York City program that links educational systems, social services and community initiatives to help break the cycle of poverty. The Obama administration started the Promise Neighborhood effort to replicate this model across the country seven years ago; while Cleveland applied for the grant, it ultimately didn’t receive it. Recognizing the importance of the work to support partners and systems to provide opportunities for children and families, SOCF assumed a lead organizing role to champion this effort with the leadership of partners, funders and residents. “We are the backbone agency of a group of organizations that is trying to support each of our partners to work more effectively in this neighborhood,” Perry says. Residents form the core of the effort, serving as ambassadors in leading the change. For example, with the support of Starting Point, the Promise team has helped increase the number of high-quality early learning centers available in the neighborhood. From 2015 to 2016, the number of five-star early learning centers has increased from one center to six centers. There are currently 13 early learning centers in the community with quality ratings. High-quality early learning is critical for kindergarten readiness and school success. “Our goal is to change the narrative of the people living here, where, for instance, college is something to be expected, not just celebrated,” Perry says. With key funding partners in the community — including the Bruening Foundation, Gund Foundation, Cleveland Foundation, O’Neill Foundation, PNC and KeyBank — SOCF has continued to provide core funding, technical expertise and support to make the dream of a college diploma real. A few years ago, Quiana Singleton was “kind of falling apart,” as she recalls it. The proud mother of three kids, Singleton’s 4-year-old son Qe-yon was born with severe special needs. Singleton knew Qe-yon needed early therapy and support to thrive later in life, but she had no idea how to find a daycare center that provided it. “When you can’t help your kid, you feel like you’re failing as a parent,” she says. At that time, Singleton was a Cleveland Central Promise Neighborhood ambassador and she recalled learning from her training about Tatiana Wells, an early childhood navigator for the initiative, who helped neighborhood families connect with early learning programs. Singleton swallowed her pride — “I was one of those people who doesn’t like to ask for help,” she says — and called Wells for advice. Wells shared a list of possible daycare options, and helped direct Singleton to King Kennedy Head Start near her home. Administrators there helped Singleton develop an individualized education program (IEP) to help her son succeed. Teachers at the daycare worked with Qe’yon on his language, social and physical skills. “Before King Kennedy, my son couldn’t talk much and he wasn’t potty-trained,” she recalls. Now he’s “right up there with the rest of the kids,” she says. Singleton now gives back to the place that gave her so much, volunteering at King Kennedy and canvassing the neighborhood to educate neighbors about early learning and special needs resources. The Promise Early Childhood navigator connected Singleton in ways she would have been challenged to locate herself. As an adult, Baker wanted to pay it forward and started a group mentoring program called the Men of Central. “But I didn’t really understand how to organize or build up relationships,” he says. When he was asked to be a Cleveland Central Promise Neighborhood ambassador, he happily accepted. The program — which teaches residents to be stronger leaders, advocates and connectors in the community — changed his life and perspective. The Sisters of Charity of St. Augustine have worked in Cleveland’s Central neighborhood since 1851, and have long felt a responsibility to help Central’s children. In 2008, SOCF created a middlegrade education exposure strategy to improve academic achievement for sixth- to eighth-grade Central students — a pivotal stage of childhood with often few resources to successfully build the bridge to high school. With the efforts of a dozen local partners and SOCF at the helm, the organizations provided mentoring, tutoring, after-school services and parental engagement to support Central’s middle schoolers, laying the groundwork for the Cleveland Central Promise Neighborhood.